If infrared light is not visible to the human eye, why do most tv remote controls and security cameras appear to have a visible red colored LED lit when the infrared light is being emitted? Is that visible red light present as a convenience (introduced by grace of the component designer?) or as a by-product of emitting actual infrared light? Is it possible to have infrared light emitted without this visible red color? The simple answer is that they are using near IR. LED manufacturers have a good handle on how to make them so they are affordable. Their center frequencies may be invisible to the M-1 eyeball (i.e. human eye), but unless they put a filter in front of the LEDs (which cause them to produce less illumination) there will be some of it that you can see. The effect is minor. Basically, to see it you must look directly at the emitter. You're not going to see it in reflections or scene illumination. Far-IR is completely invisible. But a whole lot more expensive because the manufacturing process is different. Near-IR emitters are mass-produced. Far-IR not so much. IR lasers are another story. They emit on a single frequency, so there is no gaussian curve describing their output in the frequency domain. They are so invisible that they can be dangerous. Working around lab CO2 lasers, for instance, requires removal of all jewelry and controlling the beam. They will not trigger a blink response so you can sustain a lot of damage in a short time and not know it right away. The transition from visible wavelengths to invisible is not infinitely abrupt. Your eye's sensitivity falls off in the IR range. But in the near IR, it may not be zero sensitivity. And the emission spectrum of LED's is not infinitely narrow. So not all of the photons coming off of an LED have the exact same wavelength. The net effect of these two things is that when near infrared LED's are driven very hard, some photons will come off of them that are visible. To the camera, those LED's are like a super bright spotlight. But to your eye, they are just glowing modestly. I have also seen cameras where the LED's were not visible at all. So there is some variation there. I have never ever noticed that a remote control or any other IR-LED emits any red light. It might glow very, very dark, because a tiny little bit of the light is emitted at higher, visible wavelengths. Maybe, you are a bit special and can see light deeper into the IR range, that would be interesting. why do most tv remote controls and security cameras appear to have a visible red colored LED lit when the infrared light is being emitted? Why are there two LEDs, one red, ond IR? That's just a feedback that the device is working. Remote controls have a visible LED on the top (mine is blue, by the way) and an IR LED pointing forward. And on advertisements like your picture, the IR LEDs are often "photoshoped" red. In reality, camera sensors can see IR light, but it appears blueish white. This is the reason why for example cigarettes sometimes glow blue instead of red on photos. Today, there is a filter in front of the camera sensor, which prevents this. It typically does not block the IR of an LED which is very near to the visible spectrum, but some filters do. It isn't red light at all. It's infrared light which is perceived as red. 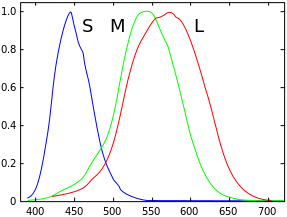 L-cones are mostly sensitive to red light in the 560-580 nm range, but will respond weakly up to 1000 nm, which is well into the infrared range. If an infrared emitter is bright enough -- which the LEDs on an infrared camera certainly are! -- it will activate L-cones, making it appear red. cheap cameras from china or sourced from a big box store will usually use 840nm-850nm leds driven very hard to produce the illumination (mostly invisible spotlight) for their night vision. The LED energy output as Light covers something 20nm+ or minus the listed wavelength(center wavelength). especially in the dark most human eyes(depending on genes)have at least a weak response to something like 900nm. Tests by professionals done as double blind (the test methodolgy not vision lol) have shown some people can reliably detect a little past 1000nm. This doesnt mean it lights the room up. It means when someone in another room switched the ir light on in the test room the person was able to perceive enough of change in their vision that they answered "was it on" correctly over 50% of the time. your eyes response/signal of brightness to brain trails off like a bell curve with high and low wavelengths and no two people have exactly the same vision (as some spectral charts posted would suggest).
. there is another thing at play as well. Something like a double bounce of the photons inside the eye allows them to trigger a stronger than otherwise would have happened activation. I tried to google and find the paper i happened across last week but i had no luck. maybe someone else can chime in. practically speaking/applied: the higher you go nm wise the less visible it is, especially at the point its coming from. 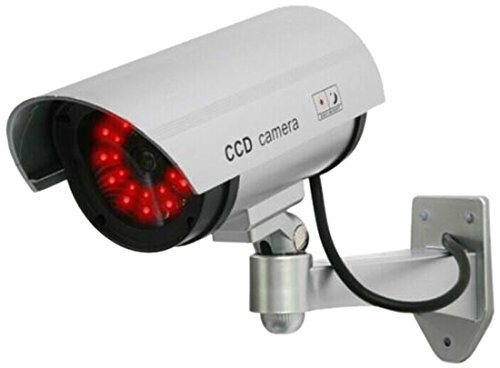 If you want ir night vision cams that doesnt scream "here is my camera" or cause a passer by to notice the red orb 10ft off the ground from a distance, look for 940nm ir led illuminators. In pure dark and close to it you may see it but it wont be the obviousness of the 8xx nm or 7xx nm emitters. most cameras have less sensitivity at 9xxnm but the systems do exist and regular cameras with out ir filters will usually see this much better than your eye. there are some youtube videos comparing 840 and 9xx emitters with average cameras. its important to note that although the IR light sources are perceived as only glowing faintly, a strong ir source can damage the eyes. So if you buy high powered IR iluminators do not put it next to your eye ball and look at it! You will fry your eyes! I noticed one commented talked about the price, but its really not that bad and has been following its own moores law so if you looked 6 months ago its worth looking again. At the other end of the spectrum in UV land leds that were a lab experiment 6 years ago and cost 200 till a few weeks ago just dropped to $12 bucks. LED tech is moving fast. anyone quoting a price with out having looked at it that month should refrain from stating it as fact. In this day and age, cameras can look like anything. Teddy bears, rocks, mud-wasp nests, whatever. But look at the thing. They swerved way out of their way to make it look as much like a camera as they possibly can. The red lights serve that same purpose, to make it look cooler and more intimidating. I'm not saying they're not using IR LEDs that leak a little visible red. I'm saying they allowed or encouraged that. Why? Some people who buy cameras want "garish". And those people write checks. I personally think these ostentatious things make excellent decoys. Perfect world, the mud-wasp nest catches HD video of the crook smashing this thing. Not specific to LEDs, but yes you can generate iR without visible light. Part of the problem with that is that filters designed purposefully to block out visible light can be pricey and require a high power source. The US military uses strobe marker lights that emit a strong visible strobe, but beneath a blackout shield so the light is only visible with night vision or other iR sensitive devices, and is 100% invisible to the naked eye. A strong LED could also have such a coating if needed. The LED itself could simply be bright white (or "clear"). Not the answer you're looking for? Browse other questions tagged led infrared light or ask your own question. Is smoke sensor safe for eyes / kids? Why do Infrared LEDs come with different coloured lenses? Powering mutiple Infrared LEDs through a single Arduino Uno pin? Why are infrared LEDs used in optocouplers?